Technology gurus have put their heads together to create a new platform that combines technology with social reform – its name is ConvergeUS. Rey Ramsey, CEO and President of Technet, Biz Stone, Co-Founder of Twitter, and Andrew McLaughlin, Head of Global Public Policy and Government Affairs for Google Inc. and many others are the brains behind the new operation that will take promoting social reform online to new digital levels. 1. ConvergeUS Summits: Each year we will convene social innovators, problem-solvers and subject matter experts to address specific social problems. The technology sector participants will be recruited into a permanent corps of Innovation Fellows. 2. Online Clearinghouse for Innovation Fellows and other Social Innovators: We will develop and manage a virtual innovation marketplace for Innovation Fellows and the other Social Innovators. 3. Social Innovation Technology Projects: We will find and implement model social innovation projects that are effective and scalable. Our primary areas of interest are early childhood education and families including military families, healthcare, sustainability and emergency preparedness, areas that can be enhanced by the collaborative uses of technology. ConvergeUS is national in scope, but we have a geographic range that is opportunistic as we seek to maximize impact. These intelligent individuals realize how powerful the Internet has become as a reference point for many companies, organizations to showcase themselves and their efforts. ConvergeUS attempts to establish a new model for this process of using technology in connection with social change. Making their first official statement less than a week ago, they hope to build an extensive network of strong minds in the academic, non-profit and technology industries to create a new wave of how non-profit organizations utilize social media. This company is probably the most aggressive step thus far in building technological platforms that will attempt to engage social reform using social media and other aspects of the Internet. Visit other sites to find out more updates! For the month of February, take the time to go to the library and do some research. What if everyday you picked a different African American individual to learn more about? 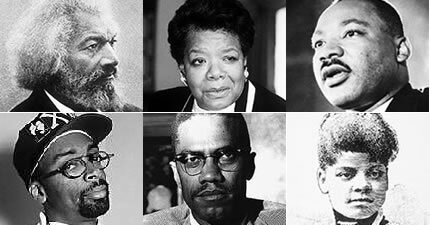 28 days doesn’t give one enough time to fill our brains with the knowledge of powerful African Americans that have existed over time. Enter Brave New Voices: A part of the Youth Speaks Inc. organization established in 1996 that aims to give the new generation a voice, (a very big one). Members of the organization are young activists, poets, artists and leaders who utilize oral and written literacy to share their visions with other young individuals about vital world issues. Some of these issues include but are not limited to the environment, civil rights, mental illness and many others. Although based in the San Francisco Bay area, there are various branches in New York, Wisconsin, Seattle, Nashville and other cities. Brave New Voices is a festival that brings together these young creative minds from different cities to compete. This unique artistic platform turned the heads of celebrities and other major officials so much so that HBO decided to film and air the 2010 festival finalists. Hosts of the HBO series are hip-hop icon Common and actress Rosario Dawson. What makes this festival along with the organization at large more unique is how diversified it actually is. Individuals of all different races, religion and background are competing against one another to hit the main stage in Los Angeles. Although some has already aired on HBO, you can check back for re-runs and more information at HBO. You can also visit Youth Speaks Inc. for more information about the organization at large. Do you have something to say? Are you interested in competeting for the Brand New Voices title of 2011? Visit their site to find out how you can enter in your area or have a voice in other ways.